Below can be found a series of videos of Lewis-Merthyr Band, including our 2018 performance at the Wales Millennium Centre in the National Eisteddfod of Wales, our 2017 Christmas Day broadcast with Sir Bryn Terfel and central feature on the band from the BBC programme "The Taff". 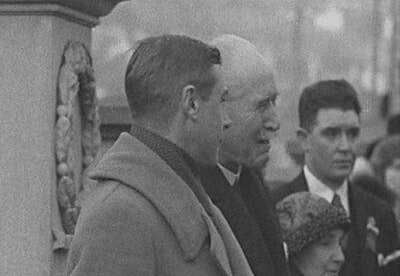 Also to be found below is footage of the band performing at the Principality Stadium for the Rugby World Cup, archive footage from the band's "BBC Best of Brass" appearances in the 1980s, and a link to Pathe newsreel footage of the band parading in front of HRH Edward, Price of Wales - later King Edward VIII - during a Royal visit to Wales in 1932! On Christmas Day 2017, Lewis-Merthyr featured in a nationwide television broadcast with the legendary international baritone soloist Sir Bryn Terfel. Filmed on location at the former Lewis-Merthyr Colliery - now Rhondda Heritage Park - the sequence featured a performance of Arwel Hughes' magnificent setting of Cwm Rhondda. The arrangement for brass was specially transcribed for the band & Sir Bryn by Welsh composer Christopher Painter, and featuring an "amen" ending written by the composer's son, the famous orchestral conductor Dr. Owain Arwel Hughes CBE. A vintage video of the band performing on the BBC series Best of Brass in the 1980's with longstanding solo horn, award-winning soloist Jeff Thomas featured in "The Way We Were". 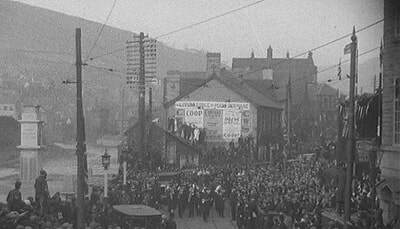 Pathe newsreel footage of the Cymmer Military Band parading for a visit of HRH Edward, Prince Of Wales, later King Edward VIII, to Rhondda on 7th December 1932 can be found here The band can be clearly seen - and heard! - c.0:55 seconds into the video.